Leading Manufacturer of cast aluminum mould, industrial aluminium mould, mould for roto moulding and aluminium mould for resin moulding from Faridabad. 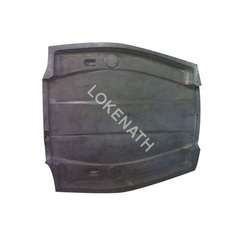 Cast Aluminium Mould solutions offered can be made available by us in different finish specifications so as to meet the production demands of different component production like trucks parts, tractor parts and others. Making use of gravity force for filling permanent mould, it provides for cost effective casting as well as assures production of quality end product. 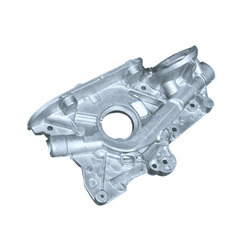 Some of its features include choice of different mould casting parts like for gear, splines, pipe fittings, gear housing, engine piston, furniture parts; use of technically advanced CNC machining and sand casting process support, design capability as per OEM specifications. Industrial Aluminium Mould solutions offered come in quality construction finish and come in options of solid die and hollow die with different wall thicknesses. Further, the module size can be made available in choice of small modulus, medium model and large modulus. Some of its features include availability options in variable cross section profile mould and gradual change section profile mould; helps in maintaining strength and toughness under high temperatures, superior thermal fatigue resistance, provides for enhanced oxidation and erosion resistance among others. Mould for Roto Molding solutions offeredcan be provided in different shapes as well as in innovative designs that support reduction of air volume around moulds to minimum. Further, these also help in achieving high work efficiency as well as have low energy consumption. 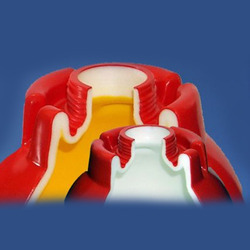 Some of its features include provides for high thermal insulation support, choice of different sizes, made available at competitive prices, choice of placing variety of inserts, expertise in offering rotational molding product shapes in complex finish and thickness, choice of production in fully closed finish, option of filling with foam material for superior thermal insulation among others. Aluminium Mould for Resin Moulding solutions offered are well recognised for their accurate finish as well as durable construction value which make these long lasting in terms of usage. These mods are developed using aluminium and its alloys and have long lifetime. 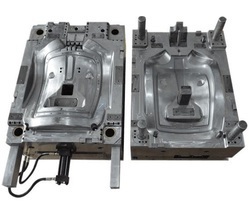 Further, we ensure that these aluminium die casting moulds are offered at competitive price. Some of its features include application suitability in areas like production of motorcycle parts, motor parts, oil pump parts, precision instruments; choice of different surface treatments like sand blasting, electroplating, powder coating and others; moulds made to undergo extensive tests like hardness tester, chemical analysis and others for ensuring quality finish, made available as per industry standards like JIS, ANSI, DIN, BS and others. Looking for Aluminium Mould ?